Paul Worthington specializes in selling residential real estate in North San Diego County, where he has worked for over 36 years. His goal is to build lifelong relationships with his customers based on trust, integrity and commitment to one another’s success. In fact, much of Paul’s business comes from past clients and his network of referrals. Paul is a successful listing agent in the North County area of San Diego which includes, Encinitas, Carlsbad, Oceanside, Olivenhain, Rancho Santa Fe, Solana Beach, Del Mar and Cardiff. Although he specializes in moderate to high end home sales, he’s happy to assist the first time buyer as well. Paul works efficiently to handle every step of the home buying and selling process, from staging, photography, to expert negotiating and successful closings. He has many contacts in the home improvement field and can help his clients with recommendations when it comes to remodeling or getting ones house ready for sale. Paul received his sales license in 1980 and his broker’s license in 1985. He also has earned the credentials of the following organizations…Certified Residential Broker (CRB); Certified Residential Specialist (CRS) and a Graduate of the Realtor Institute (GRI). He is also a member of the National Association of Realtors, the California Association of Realtors and the North San Diego County Board of Realtors. 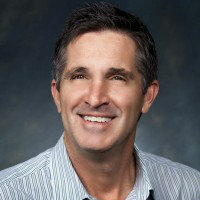 Paul was born and raised in North San Diego County and attended all the local area schools. He is active in his church as well as serving on his homeowners association board as treasurer and on the board of the San Elijo Lagoon Conservancy. He’s an avid sports enthusiast, bird watcher and loves to travel.